HAPPY BIRTHDAY TO US!!! Five years of Hypnotic Owl! How exciting! 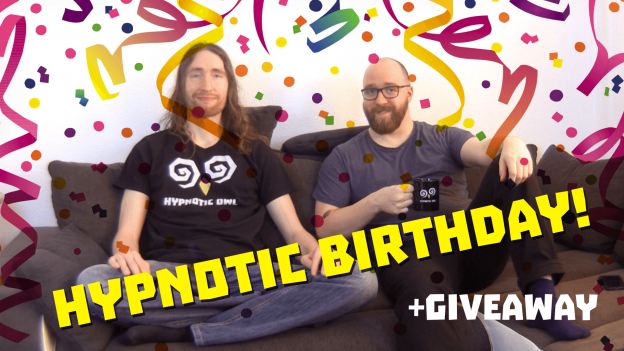 And to celebrate our 5th birthday, we’re giving away 1 Hypnotic Hoodie, 3 shirts, and 5 mugs to our newsletter subscribers! Just subscribe before May 1st to enter! This entry was posted in Uncategorized on Wednesday April 18th, 2018 by Crabman.